Howzit guys/girls. Welcome to Blessing. 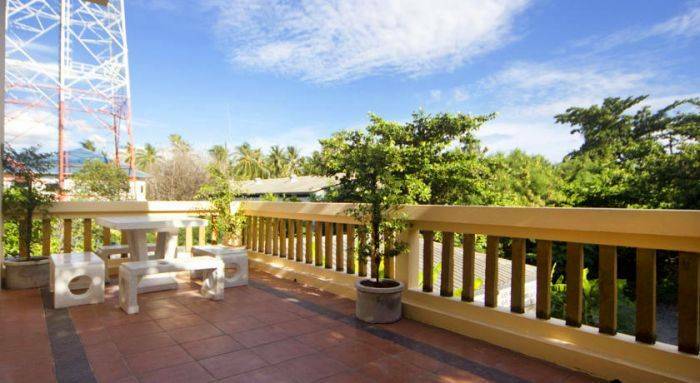 We are a new Backpackers situated in the heart of Thongsala, Koh Phangan. 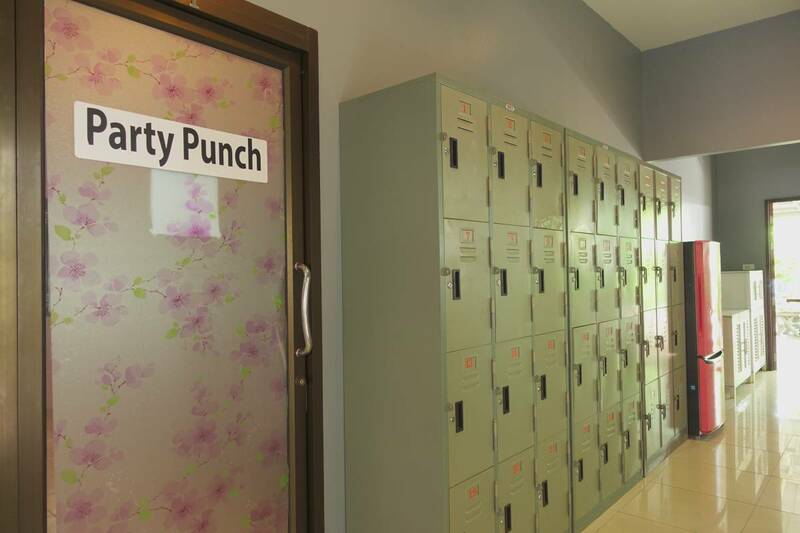 If you’re looking for a comfortable and spacious dorm conveniently situated near your favourite parties, food markets, beaches and everything the island has to offer… Then LOOK NO FURTHER! Our staff live by good music and good vibes and are here to ensure you keep the funk in your swing!! Dorm 4 – 6 Bed boys dorm – For the boys that just wanna be boys. Our Rooftop Bar is a place you can chill out with good music, a cold one in hand and get the party started. Every Full Moon we have pre-party specials including a FREE BBQ on the night. We offer taxi services and motorbike rentals to get you wherever you need to be. We have information on a wide variety of activity’s and events that you can book through our reception. Whether it be parking cheesy (…) in our front garden watching the island life go by or pumping up for the night ahead, we’ll make sure you’re on the right track. CHEAP, SPACIOUS, CLEAN, COMFORTABLE ROOMS! YOUNG, FRIENDLY, GOOD LOOKING STAFF! It is hostel policy to debit the full amount of the booking if the booking is cancelled within 10 days of arrival or for no-shows. The Backpackers is a 2-minute walk to and from the main Pier on the island, as well as the daily Food Market and many local and Western Restaurants. All parties ie. Half moon, Jungle, Waterfall, Loi lay etc. 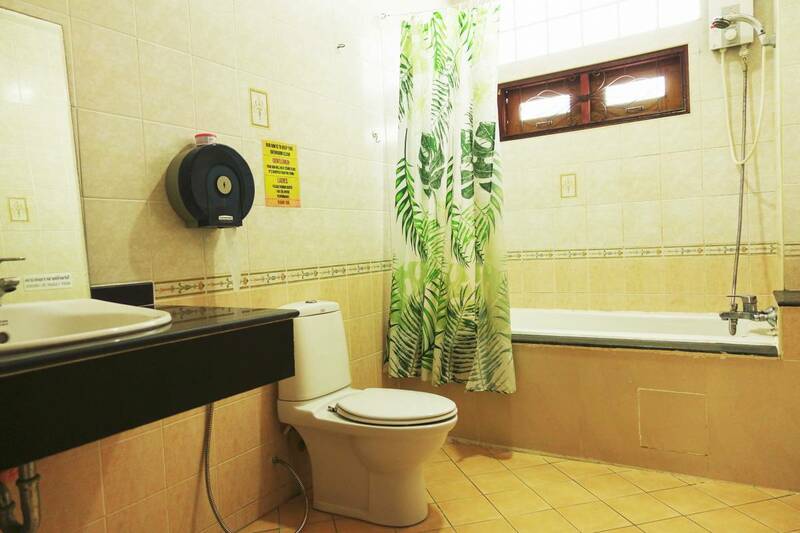 are a short taxi ride from Blessing, which can be booked at reception ☺. We take pride in our central and convenient location. Getting to and from places is just a breeze. Turn right at the end of the pier, walk for 500m with the sea on you’re right, cross the T-junction at the end of walking street. 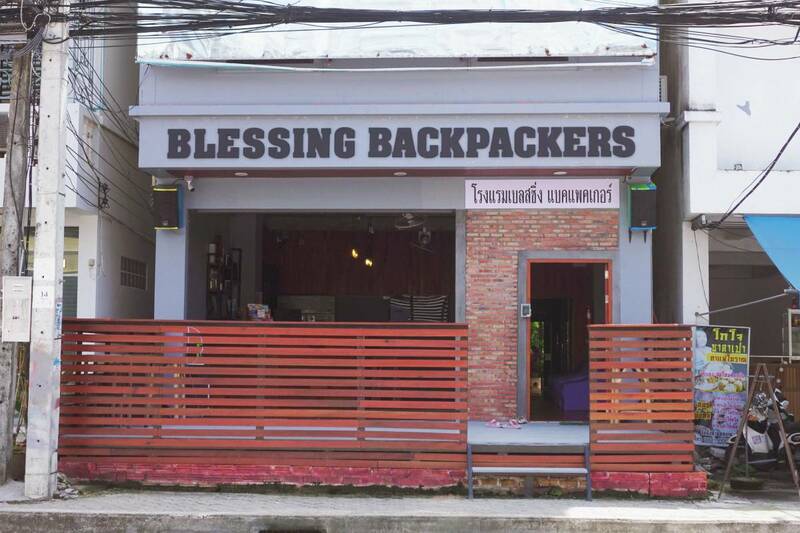 Blessing Backpackers will be 70 meters on your right.